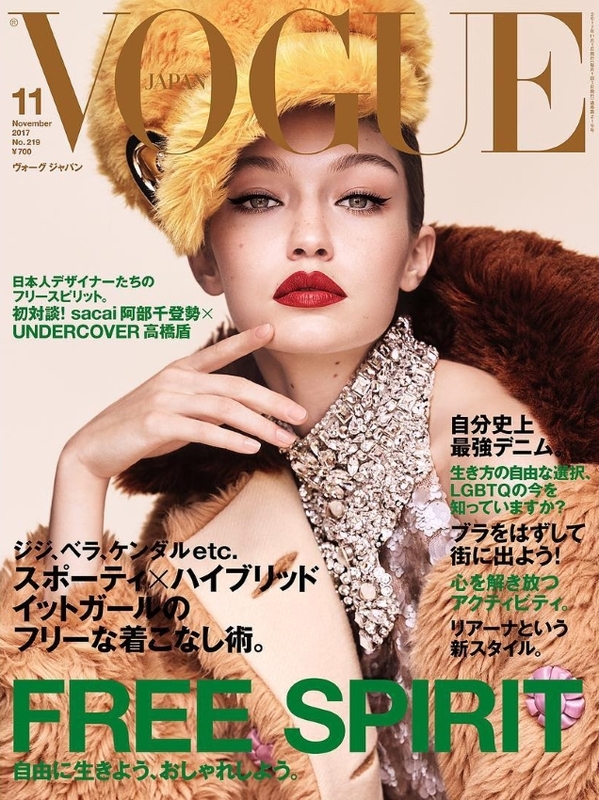 It’s hard for us to believe that Gigi Hadid‘s last cover of Vogue Japan was almost a year ago, but she’s back for November 2017 showing everyone else just how it’s truly done by starring on another flawless cover for the magazine. Scratch that. We’re actually treated to not one but two flawless covers this month, with the current face of Stuart Weitzman, Missoni and Fendi posing for photographic duo Luigi & Iango (who have been killing it for Japanese Vogue lately). In the two vibrant covers, Gigi wears head-to-toe Miu Miu with styling from Patrick Mackie. Gigi rendered our forum members almost speechless. “Wow, this is too beautiful to be true,” said an astounded Conbothsides the second the covers struck earlier today. “Her Vogue Japan covers are always great,” applauded Style Savvy. “I prefer the first one, but both are stunning. Very opulent and glamorous and she’s best in this setting,” noted Benn98. Armani was quick to show the covers some love. “Gigi for Vogue Japan is a fantasy – every cover she’s done for the mag has been just stunning! And after the one before this, I had high expectations and she delivered. The styling and makeup looks breathtaking too,” he raved. “Both covers are impeccably stunning, I’d get both,” TeeVanity admitted. “Both covers are absolutely STUNNING,” echoed a delighted Velasco. “Wow both covers are delivering glamour, and the styling is a big yes! MDNA approved. Await Gigi’s cover story (which we’re counting on being an instant hit) and join the conversation here. Amber Valletta Delivers Two Old-School Covers for Harper’s Bazaar SpainBritish vs. American ELLE: Which Has the Best Rihanna Cover?